Glas Tek is proud Fountain Hills windshield replacement mobile service provider. We will mobile to Fountain Hills residents or businesses for FREE. We offer auto glass quotes online, $50 Cash Back, free rock chip repairs, and a nationwide lifetime warranty. 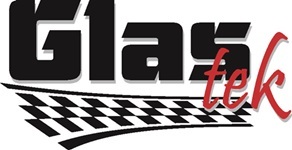 Glas Tek is a small Arizona auto glass shop and is thankful for all business. We are competitive and offer discount auto glass prices and stand by our work 100%. We work with and are approved by all insurance companies including: Allstate, State Farm, AAA, Kemper, Safeco, Farmers, and Geico. Lack of proper vision causes numerous automobile accidents each year. Cracks and chips in the windshield can impair a driver’s ability to see clearly, greatly increasing the risks of getting into an accident. Your safety, the safety of your loved ones, and other motorists depends on keeping your vision clear. This means hiring the best Fountain Hills windshield replacement company. Therefore, car owners living in Phoenix, Arizona and all surrounding areas, including Fountain Hills, should put their safety first by working with Glas Tek. We are the industry leader in Fountain Hills windshield replacement services, including auto glass replacement and repair, rear window replacement, side–door glass replacement, and back glass replacement. We even replace and repair glass on specialty vehicles such as semi’s. We believe in the quality of our work, which is why we offer a nationwide lifetime warranty and numerous other benefits. We also work with all major insurance companies to save our valued customers the hassle of dealing with the bureaucratic ties and suit. 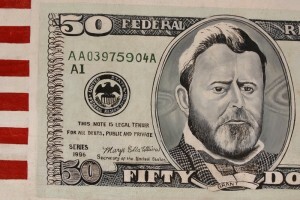 In fact, we will give you $50 cash for choosing us to work for you. All you have to do is fill out our online Fountain Hills auto glass replacement insurance form to get a claim started. Most of our competitors do not do this. We are dedicated to being the leader on customer service. To this end, we use only factory–authorized glass on all foreign and domestic vehicles, no matter the make, type, or size. We also offer flexible hours, free mobile service, and direct insurance billing to customers in the Fountain Hills, Arizona area. We work hard to put you back on the road as a satisfied and safer driver. We are the clear choice for your Fountain Hills windshield replacement and auto glass repair. Get a free, no obligation, instant, fast, online Fountain Hills auto glass replacement quote today! Get free rock chip repairs with all new windshields. Plus, we will come back to you in Fountain Hills for free. A cracked or broken windshield is a serious safety issue that can happen in an instant. Fortunately, our auto glass services can get you back on the road quickly. Glas Tek delivers convenient, safe, and expert auto glass repair and replacement throughout Phoenix including Fountain Hills. We hold ourselves to the standards laid down by the auto glass industry because we care about our customers’ safety. When you are in the unfortunate situation of needing auto glass replacement services, contact our friendly and professional customer care representatives. 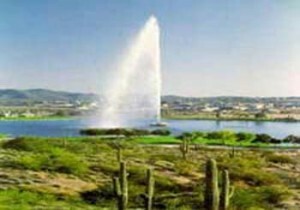 Fountain Hills is a very special place that is treasured by Arizona and one we love to visit regularly. It’s a beautiful place that has many surrounding rolling hills and gorgeous mountain views. It’s also surrounded by the Town of Fountain Hills, the Sonoran Desert, and their Native American community Fort McDowell Yavapai Nation. It’s a very scenic and friendly community, one that Arizona is very proud to offer. If you are a resident or just visiting there is plenty to see or do on your adventure to this very exciting and carries many luxuries that most communities do not offer. This includes many places to visit, much to see, and always plenty to do at your stay at Fountain Hills Arizona. With it’s world class giant art shows, acclaimed music and theater if you have class and enjoy some sophistication in your life this seems like the place to be. Fountain Hills also has many golf courses and luxury spas, including many delicious places to dine and shop at. If you consider yourself a an outdoors man or women, there is also something to do at Fountain Hills for that too, which is included in there varied outdoor recreations. Another thing you may want to see if you are visiting Arizona, is Fountain Hills Town centerpiece, which is one of the tallest fountains in the world. If you have a broken window and you live in Fountain Hills Arizona, or anywhere in the valley we will come to you free of charge, just give us a call at the very bottom of the page.